Sometimes the rationale of a policy decision becomes apparent long after the actual decision itself. The imperatives created by the polio travel conditionality will help us understand why it was critical to re-establish Pakistan’s Ministry of Health (officially named the Ministry of National Health Services, Regulations and Coordination (NHSRC) under Pakistan’s Rules of Business). Imagine the scenario had the WHO travel conditionality, involving polio vaccination for individuals travelling out of Pakistan, come into effect before the May 2013 decision to create the Ministry of Health. There would have been mayhem at the federal level, with confusion about responsibilities since federal mandates for health were fragmented in nine institutions during Oct 2011-May 2013, the former representing the time when the 18th Amendment came into effect. To give a background, Pakistan’s Ministry of Health was abolished in 2011 by the 18th Amendment, on the notion that there was no need for federal ministries related to subjects that had been devolved, and since health was one of the 17 subjects devolved, its ministry was abolished. What was perhaps – inadvertently – not appreciated at the time was that there existed constitutionally-mandated federal responsibilities even for ‘subjects’ that were devolved. These fell under two Federal Legislative Lists (FLL), which are part of the constitution. FLL Part I enumerated subjects purely under the federal government’s purview, for which the competent authority is the respective ministry/cabinet. The FLL Part II enumerates subjects of the federation, for which the Council of Common Interests acts as the competent authority. Relevant to polio, FLL Part I explicitly lists health information, cross-border spread of diseases and international treaties as being under the purview of the federal government, whereas coordination falls under the purview of FLL Part II. Lessons from the period when health institutional responsibility at the federal level was fragmented (Oct 2011 to May 2013) indicate that the problems characteristic of that time – lack of coordination, interagency turf tensions, ambiguities about responsibility, difficulty for international partners, etc – would have further exacerbated during the existing polio travel conditionality. All countries of the world that exist as federations have federal health institutions even if health is a fully decentralised subject. The responsibility for ensuring compliance with International Health Regulations (IHR), the world’s first legally binding agreement on fight against public health emergencies of international concern, is a central/federal responsibility in all. The polio travel conditionality has been stipulated as part of the recommendations of an emergency committee the World Health Organisation director general convened under a mandate given under IHR. As a signatory, Pakistan has obligations, which it should and is fulfilling. By committing to roll out vaccination of outbound travellers, the government took the right decision to play its part in attempting to halt the international spread of virus. Its capacity constraints and implementation limitations notwithstanding, the Ministry of NHSRC is one port of call where all stakeholders convened to forge federal and provincial plans in this regard. With responsibility for health in nine institutions (as it was post-18th Amendment during Oct 2011 to May 2013), this would have been a nightmare. The creation of the Ministry of NHSRC does not mean that the centre should start stepping on provincial toes and start exerting its influence in areas that are provincial prerogatives. The functions of the 2013-established Ministry of NHSRC are strictly in line with the stipulations of the legislative lists in the post-18th Amendment constitution, which it must comply with. Ensuring disease security is part of its responsibilities, which it must step up to; there are many gaps in that regard which must be overcome as a priority. But the fulfilment of travel restrictions should not detract Pakistan from the job of polio eradication and vaccination of children. Pakistan has many big ticket impediments in that regard. In fact, taken in the broader context of state governance, polio is a window to many of our daunting challenges. Despite these, the momentum must continue. The world is too close to the end game goal and Pakistan must not be labelled as the last remaining reservoir of poliovirus transmission in the world. July 22, 2014: The WHO Commission on Ending Childhood Obesity, which was announced at the World Health Assembly earlier in May held its first meeting in Geneva on July 17-18, 2014. 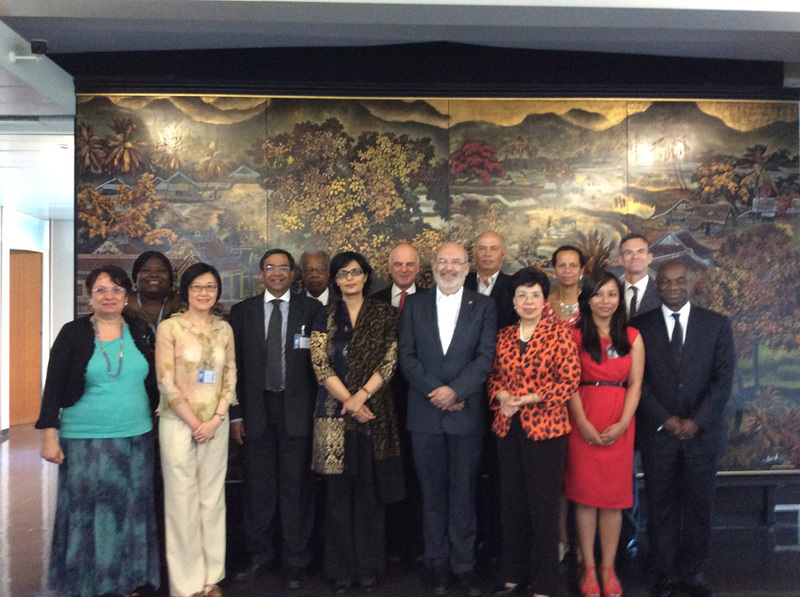 Our President Sania Nishtar, co-chairs the Commission with Sir Peter Gluckman, Science Advisor to the Prime Minister of New Zealand. The Commission has been requested by WHO to produce a consensus report specifying which approaches are likely to be most effective in different contexts around the world to overcome the global obesity epidemic, where numbers are climbing fastest in developing countries. 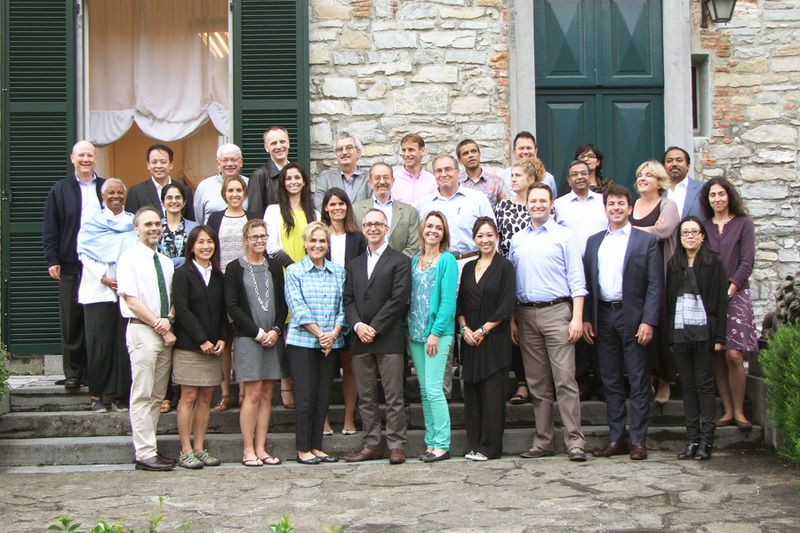 July 21, 2014: At a jointly hosted meeting at the Bellagio Centre in Lombardy, Italy, the Rockefeller Foundation, the Economist Intelligence Unit and the Lancet convened a select group of thought leaders “to identify critical strategies and innovative inventions, drawing energy from the recognition that the heath of planets, people, cities, ecosystems and businesses are intricately intervened”. 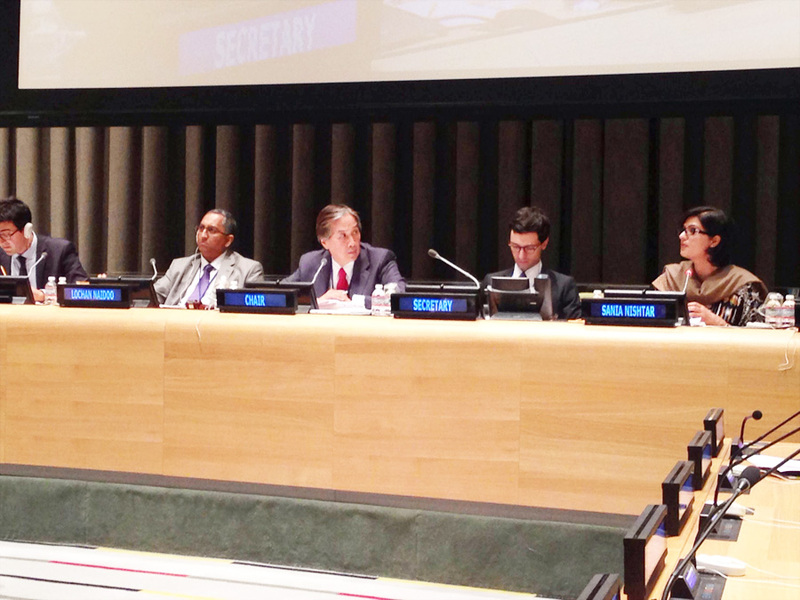 The meeting focused on the critical intersection of human and planetary well-being. Our President, Sania Nishtar was one of the invited thought leaders. 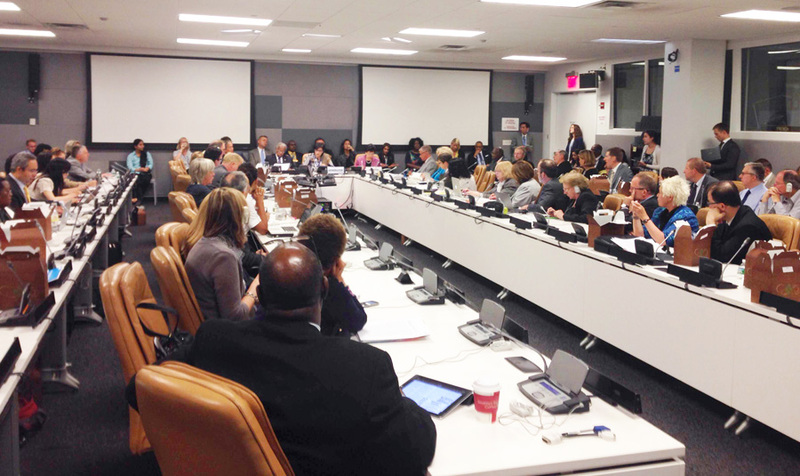 July 18, 2014: On July 11, the NCD Alliance, Government of Sweden and CARICOM hosted a panel discussion on the sidelines of the UN high level review on NCDs in New York at the UN Headquarters. The theme of the event was “delivering solutions, accountability and results” on July 11, 2014. The panel included Dr. Howard Koh, Dr Margaret Chan, Sir George Alleyne, Anders Nordstorm, and James Hospedalis. Our President, Sania Nishtar moderated the session. July 16, 2014: The President of the United Nations General Assembly John W Ashe, convened a high level meeting to review progress achieved in the prevention and control of Non-Communicable Diseases since the 2011 Political Declaration on NCDs. The frame of reference was post-2015 and the focus was on scaling up multi-sectoral and multi-stakeholder response to NCDs. Our president, Sania Nishtar joined Dr. Howard Koh, Assistant Sectary of State, US Department of Health and Human Services, Dr. Lochen Naido, President UNODC and Mario Ottilgo of IFPMA for the roundtable on partnerships. Her comment on the Heartfile blog about the meeting can be viewed here. The webcast of the event can be accessed here. July 14, 2014: On World Population Day, July 11, we launched our Reproductive Health eBulletin, in order to engage in advocacy for Family Planning and Reproductive Health sector in Pakistan. Posts by Anne Keeling, UNFPA, Yasmeen Qazi, Packard Foundation and Shahida Fazil, Heartfile can be accessed. The Reproductive Health eBulletin is one of the newsletters of the Heartfile-hosted Pakistan Health Policy Forum, a membership-based entity, supported by the David & Lucile Packard Foundation. The Forum features commentaries, resources and updates about Pakistan-specific health and population-relevant systems issues; it is also an archive and a sounding board for relevant issues to be framed for deeper discussion. The moderator of the forum can be contacted for further details.